Each player will play a minimum of 3 games. Rules will be posted after registration deadline of Tuesday, September 28, 2010. Yonex, KTSF and Comcast are the major sponsors. We will have great prizes and also a cash prize this year. 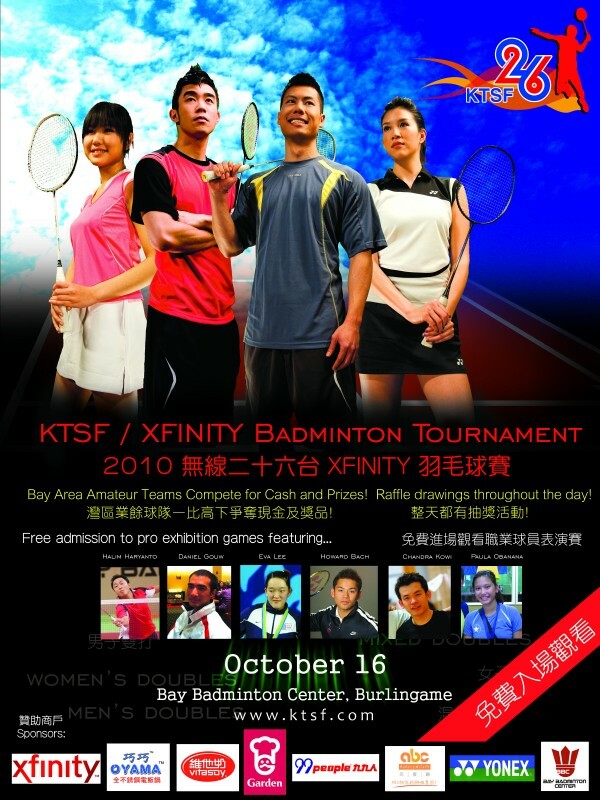 Last years winners all won high end rackets from Yonex. This event is not to be missed. Check out the clips from last years tournament. Keep posted to our website for more information about the tournament.